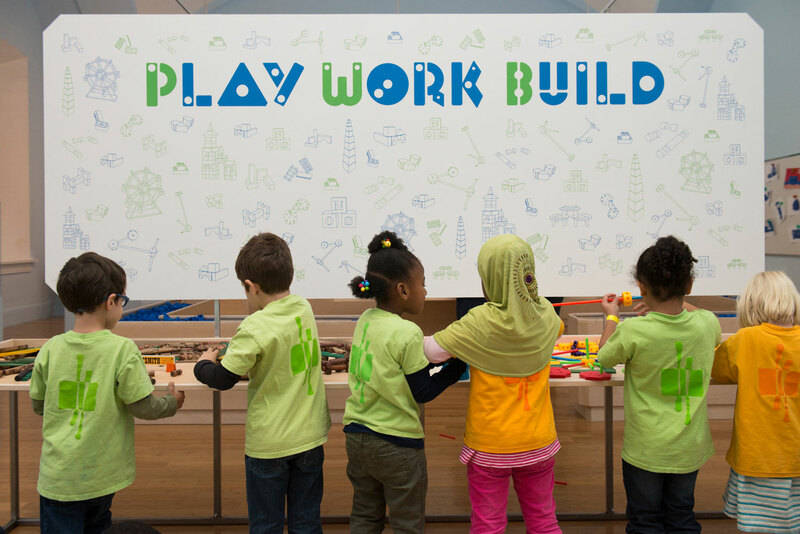 Research has shown how important play can be to a child’s development. But, play is not only for kids. 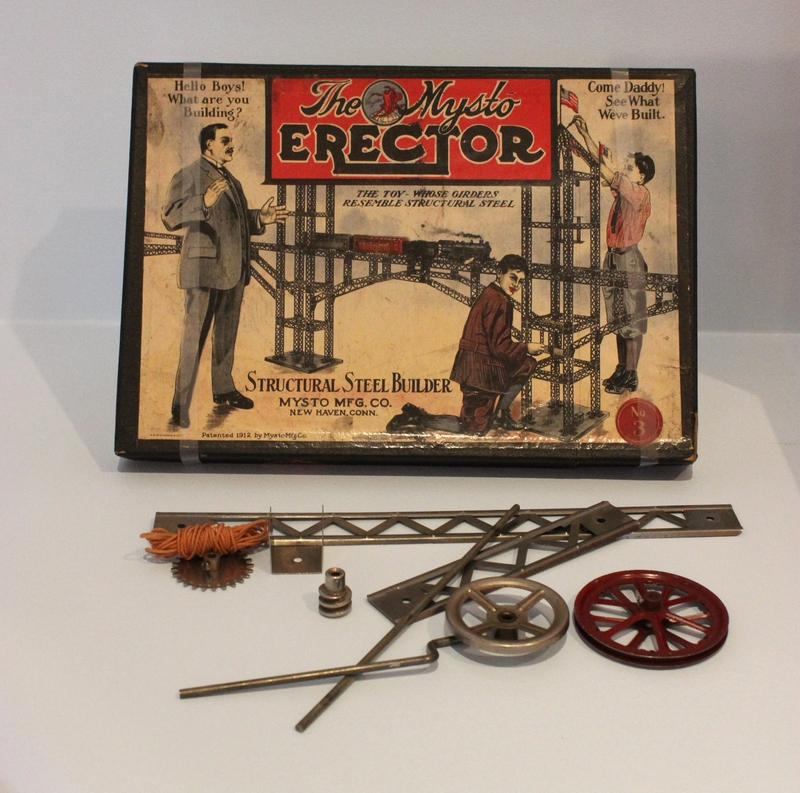 Through this exhibition, visitors begin to see the connections between play, design, and the work of building professionals like architects and engineers. 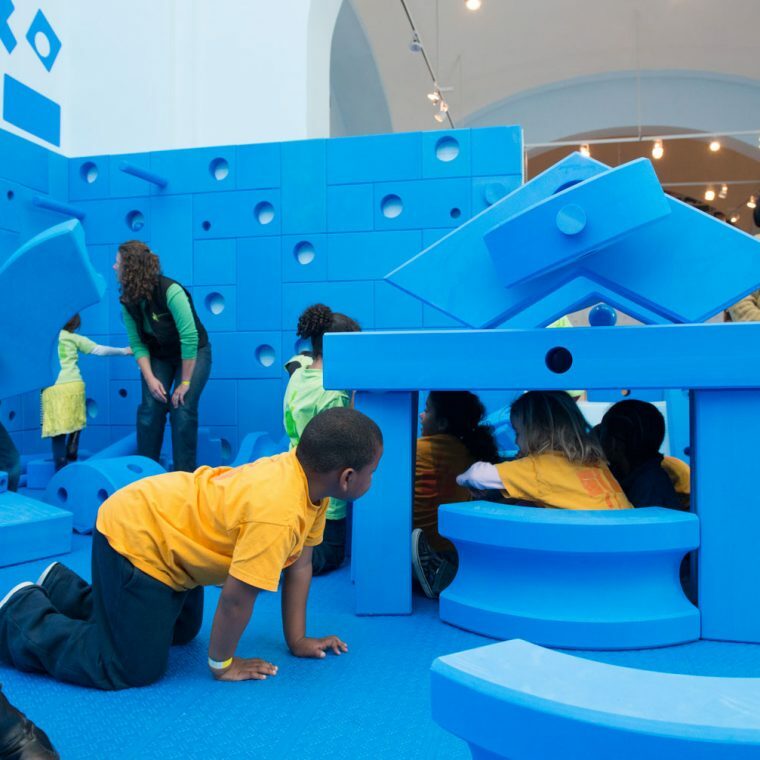 Only at the National Building Museum can the concepts of PLAY, WORK, and BUILD be combined to create an exhibition that enthralls kids and adults alike. 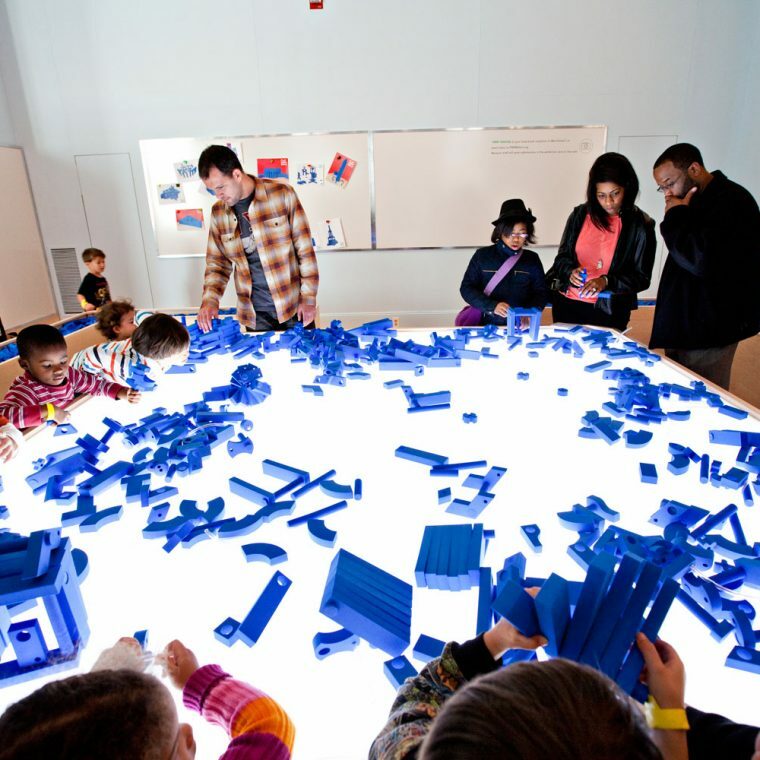 Conceived in partnership with the internationally renowned design firm the Rockwell Group, this exhibition combines a presentation of the Museum’s world-class Architectural Toy Collection, a hands-on block play area, and an original digital interactive that allows visitors to fill an entire wall of the exhibition with virtual blocks—and then knock them down. 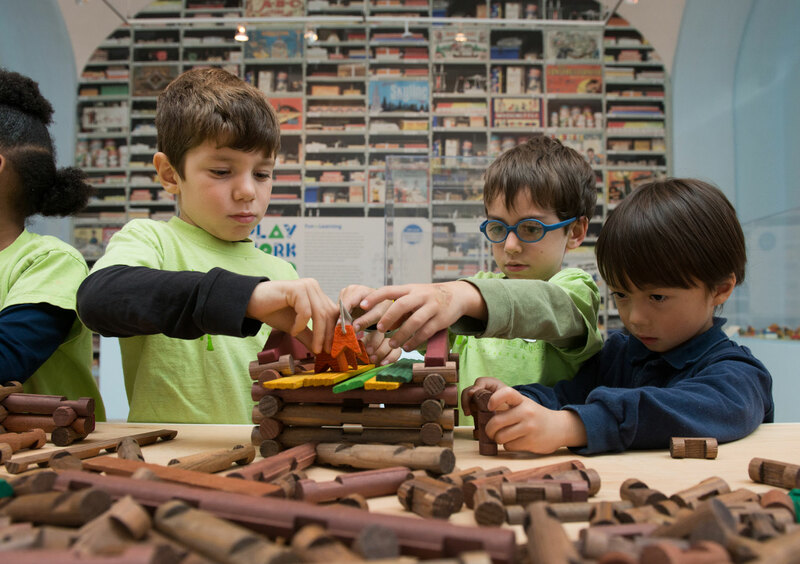 After viewing a selection of construction toys from the Museum’s collection, from the familiar Tinker Toys and Lincoln Logs to the lesser-known Bumpalow House and Ringa-Majigs, visitors can reconfigure their environment and design their own course of play with individually-sized blocks. 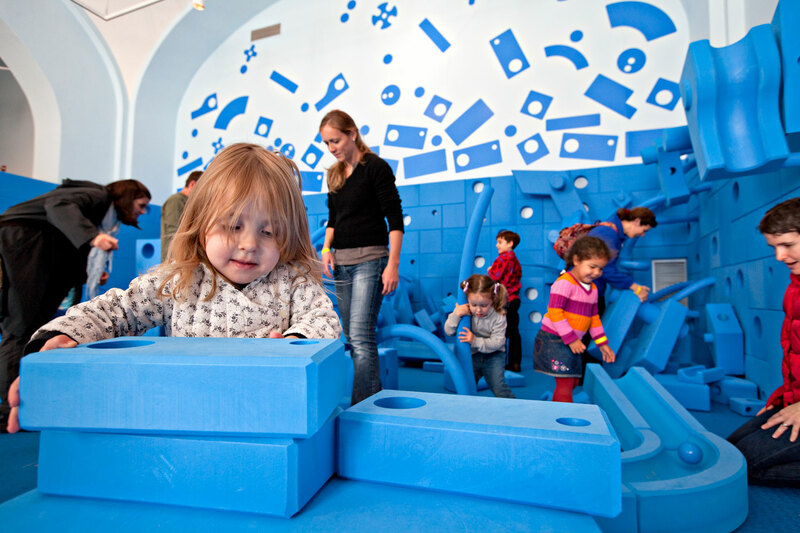 In the subsequent gallery, visitors are invited to work individually to reimagine their small-scale structures created into oversized structures using supersized foam blocks or to work in groups to design and build something entirely new. 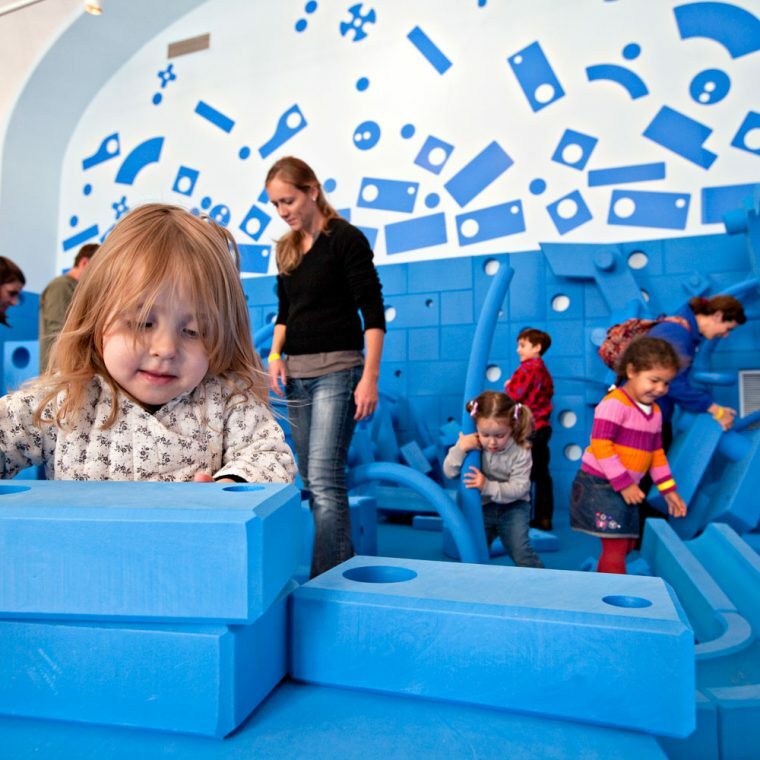 Whether visitors choose the tactile experience with the small or large blocks, the virtual block-play experience, or all of the activities, children and adults alike are encouraged to participate in unstructured, imaginative play that exercises muscles and minds. 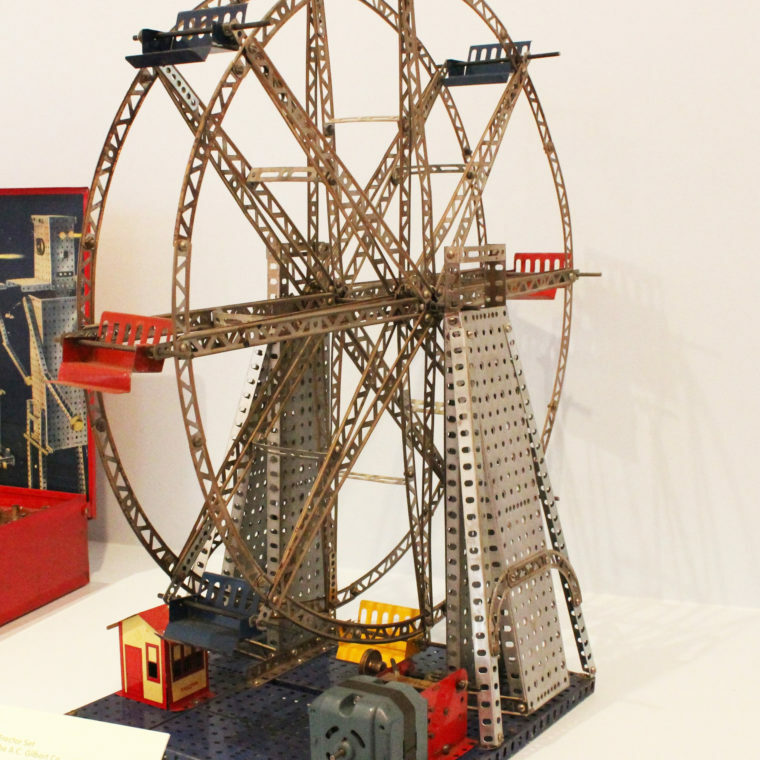 This Ferris wheel, built with a late-1950s Erector set, shows off construction elements and breaks down the project into its basic girder and bolt parts. 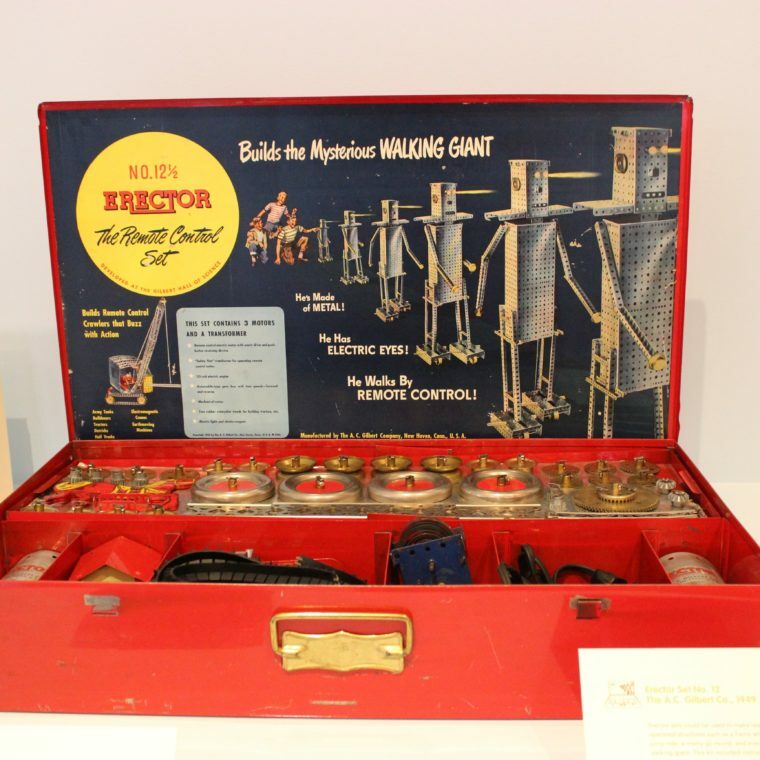 Though the pieces in each set could be used to build almost anything, detailed instructions appealed to those who wanted to understand what the kit could do before branching out on their own. Erector sets could be used to make realistic motoroperated structures such as a Ferris wheel, a parachute jump ride, a merry go round, and even a mysterious walking giant. 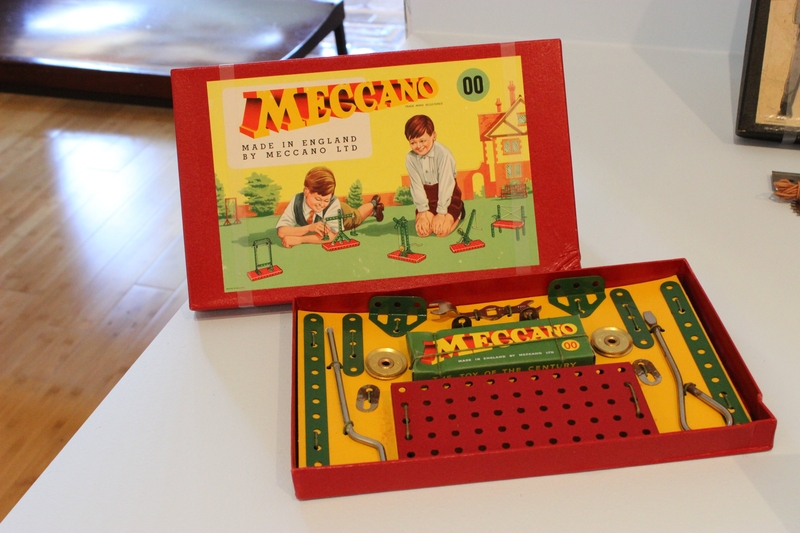 This kit included instructions for all of those projects, each of which would take time, space, and patience to complete. 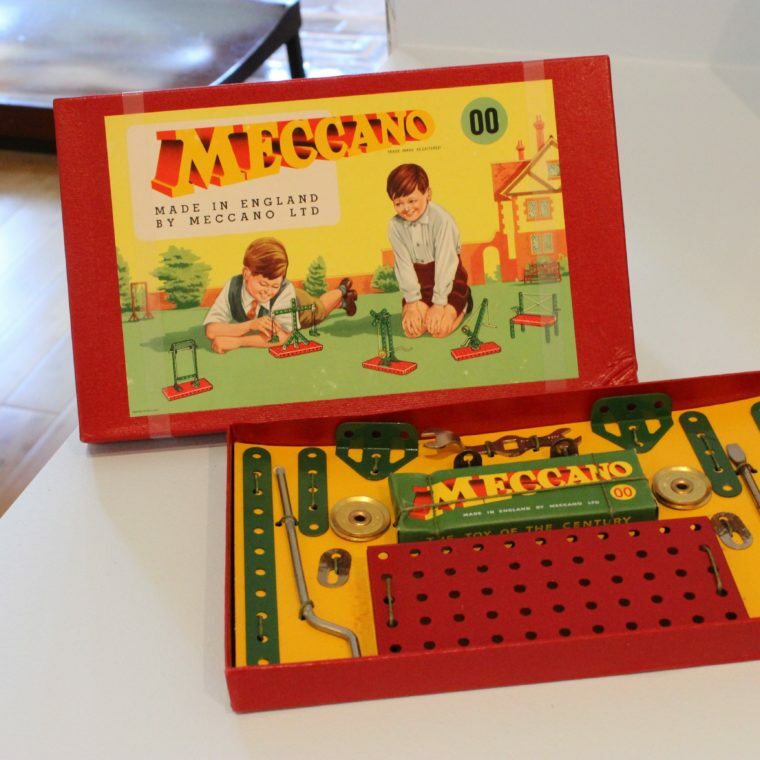 The earliest Meccano sets, developed in England by Frank Hornby in 1901, included around 15 pieces, including structural beams, fittings, and assembly tools. 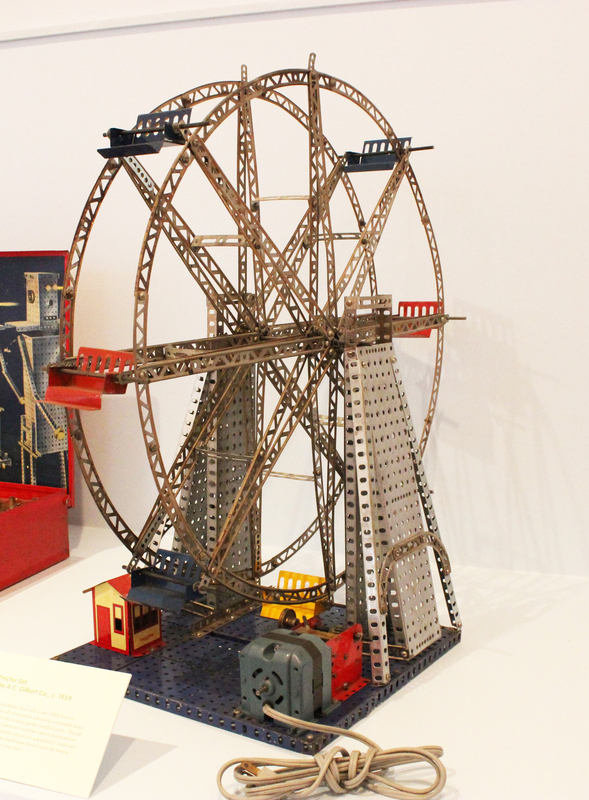 With gears and other elements added later, children could build more complex structures, such as pulleys, cranes, and vehicles. 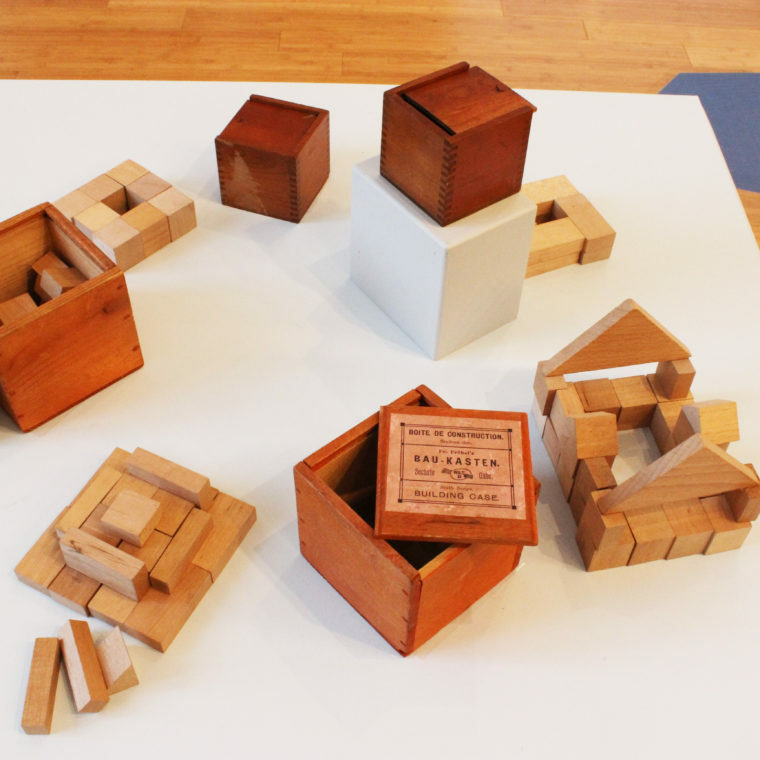 Italian educator Maria Montessori designed carefully structured “sensorial exercises” with blocks to train children to observe the world around them, compare objects, form judgments, and make decisions. 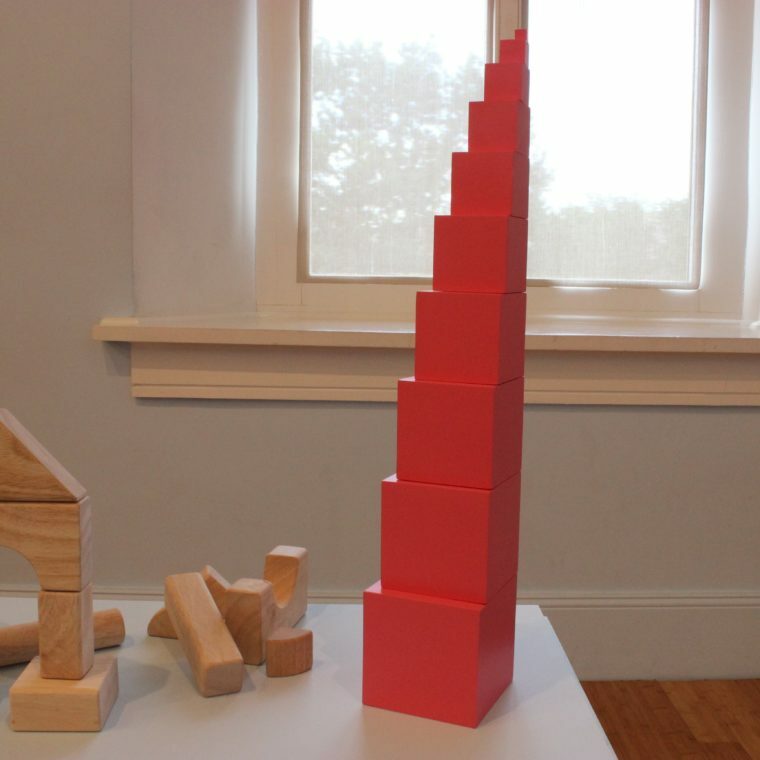 The directions for this Pink Tower, originally designed in 1907, ask children to stack ten wooden cubes from large to small, take down the tower, and rebuild it again. 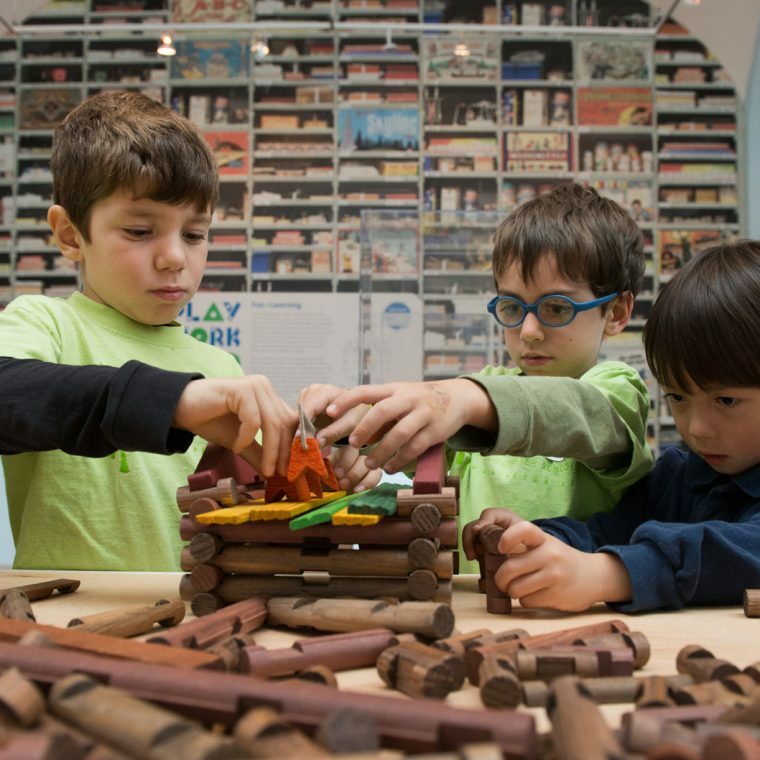 Children in Froebel’s Kindergarten classrooms used the Gifts to build what he called forms of life, knowledge, and beauty. With Gift No. 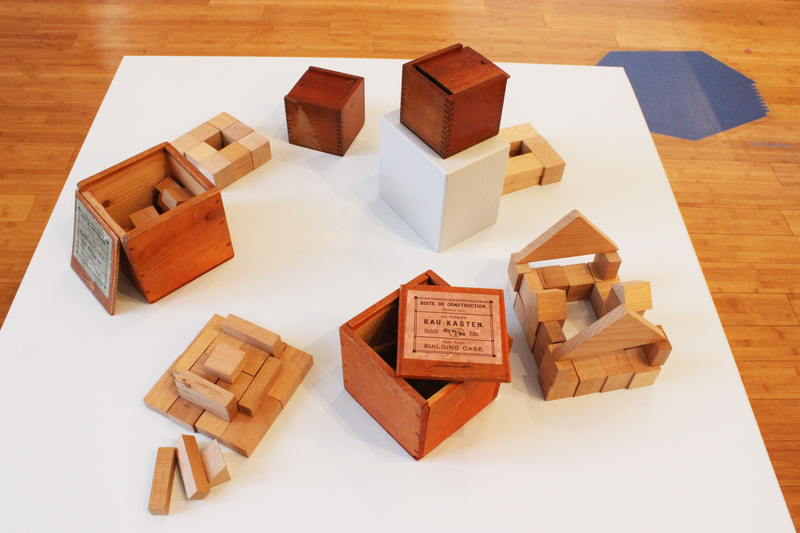 5, a 3-inch cube divided into 21 cubes, six half-triangles, and twelve quarter-triangles, children could build representations of life with related stories; learn about angles, triangles, and size differences; and form complex patterns by modifying constructions rather than destroying and rebuilding them. 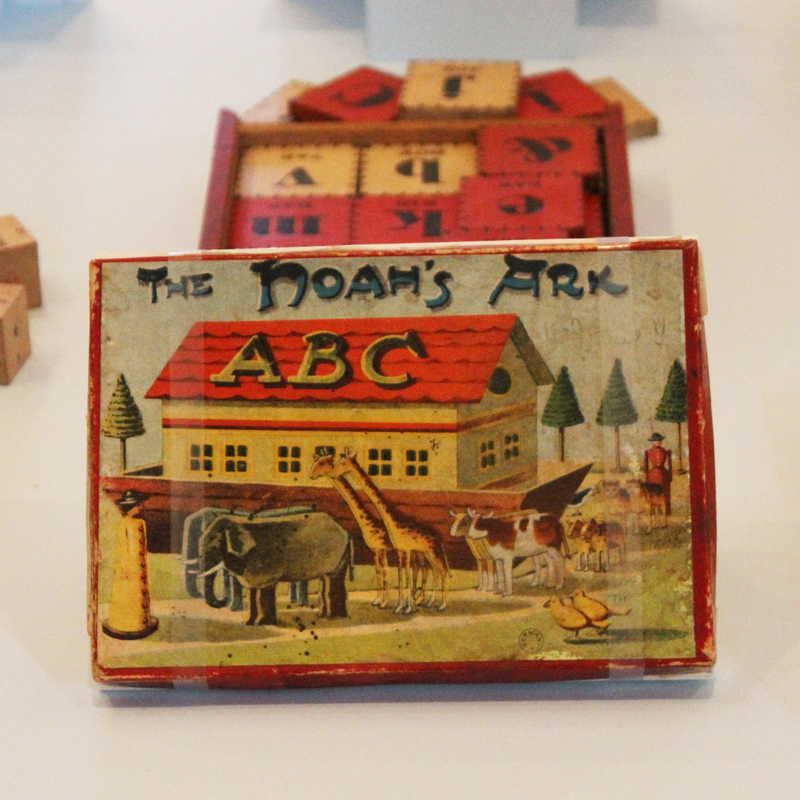 This Noah’s Ark block set expanded the educational reach of the traditional alphabet blocks with colorful renderings of animals saved from Biblical flooding. 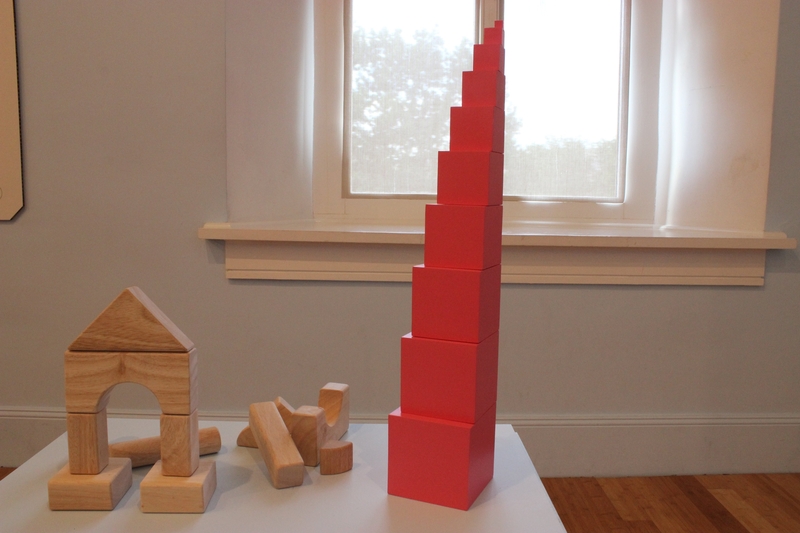 While stacking blocks and demolishing towers, children encountered bird, deer, boar, and goat, among others. F. Ad. 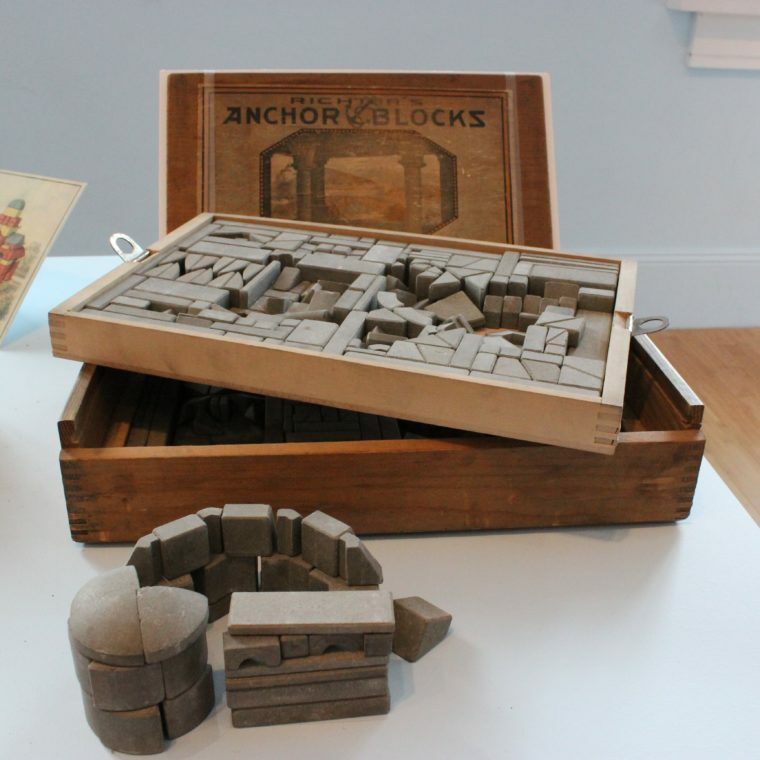 Richter & Company of Rudolstadt, Germany, manufactured the first set of Anchor Stone Blocks in 1880. 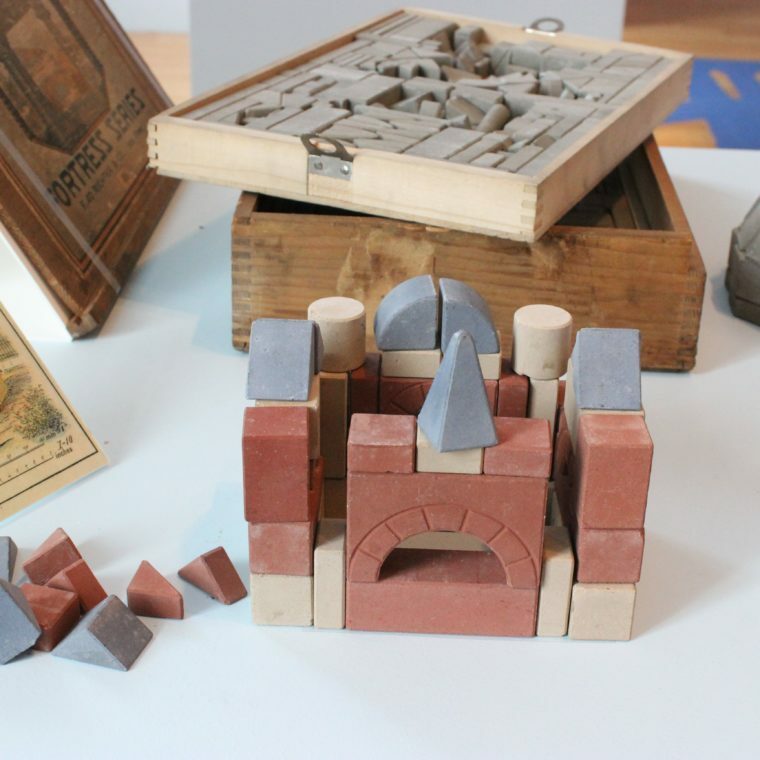 These popular, durable cast-stone blocks were made from a mixture of quartz sand, chalk, and linseed oil, and have long been valued for their craftsmanship, their natural feel, and their weight, compared to blocks made out of wood or cardboard. 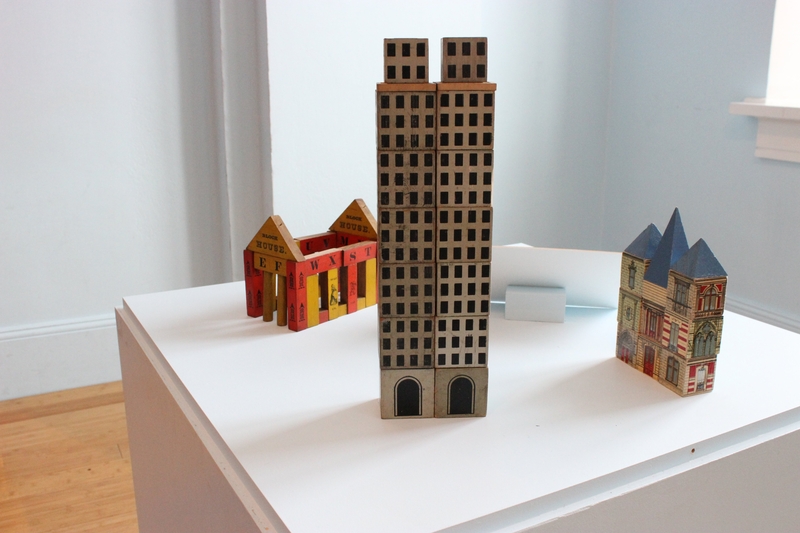 The Sky-Hy blocks celebrated the skyscraper, then a popular new urban building type in America. 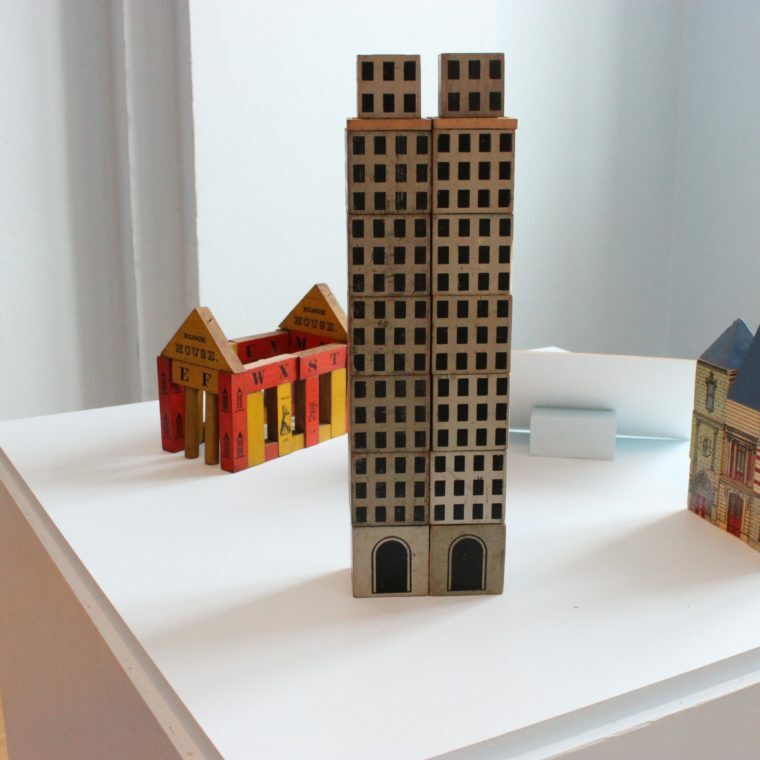 The heavy square blocks, which included pieces to represent ground level, roof, and many floors, could only imitate such soaring structures. 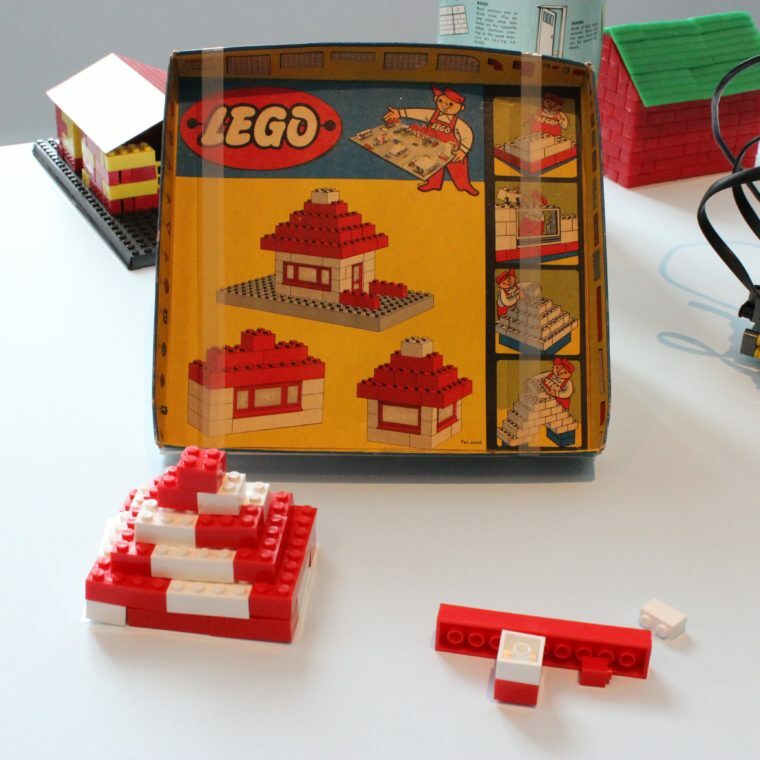 Godtfred Kirk Christiansen of LEGO (believed to be a contraction of the Danish expression leg got, which means “play well”) created his own version of toy plastic bricks in 1949, first called Automatic Binding Bricks. 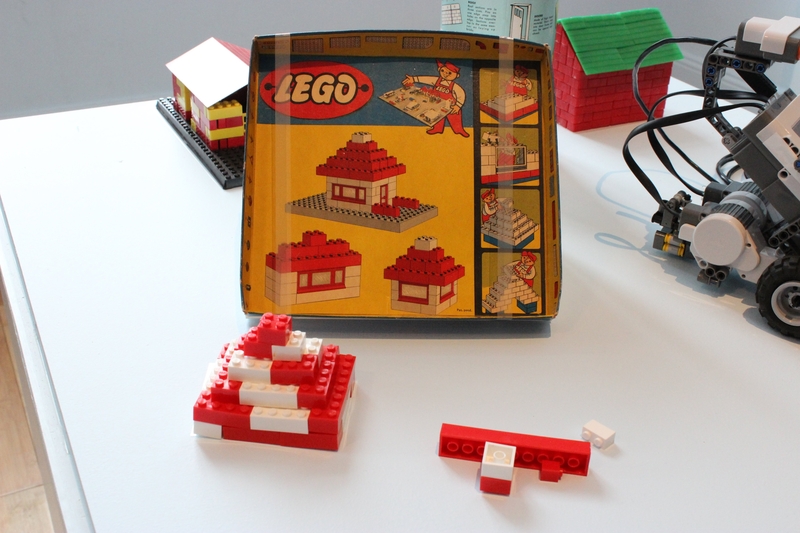 LEGO’s patented stud-and-tube interlocking system made it easy for blocks to stick together and enabled the construction of large, fanciful structures. 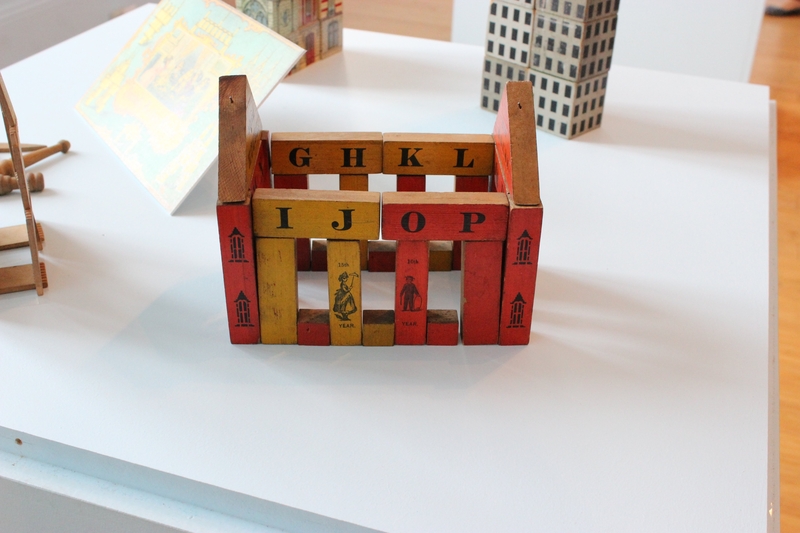 The patent for these "toy blocks that make a house" explained that the pieces are reversible and depict parts of different structures on each side. 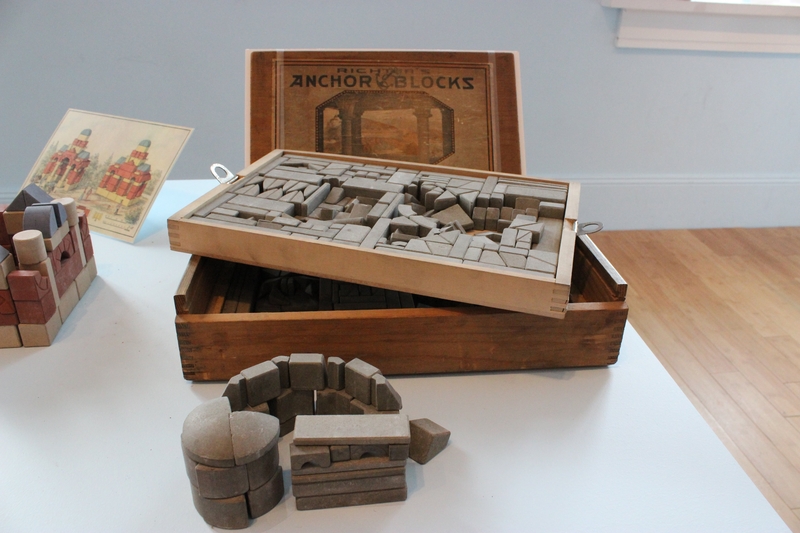 The set of 33 blocks could then be used to construct two different buildings. 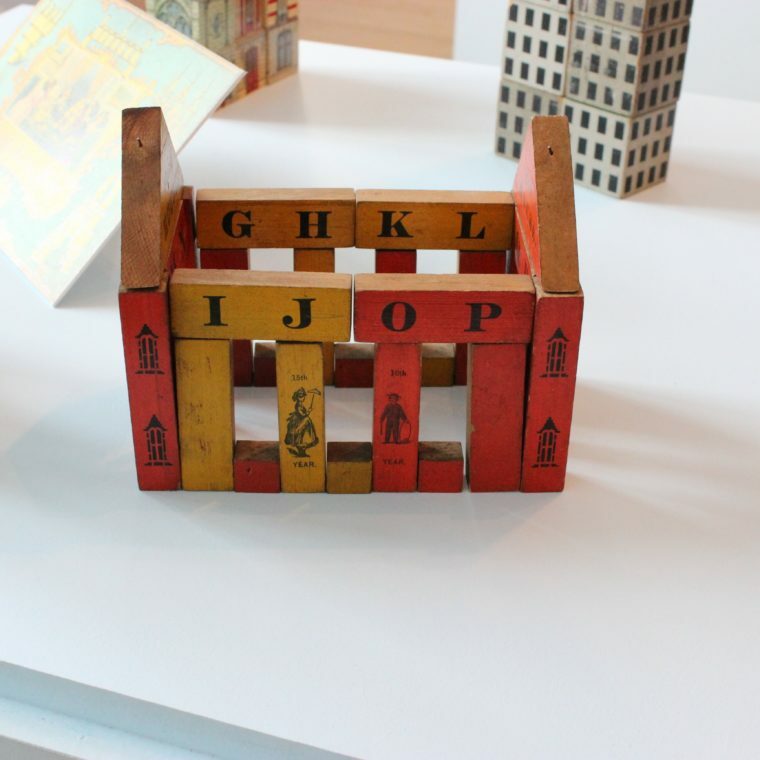 These picture puzzle blocks are illustrated with architectural details associated with particular building types. 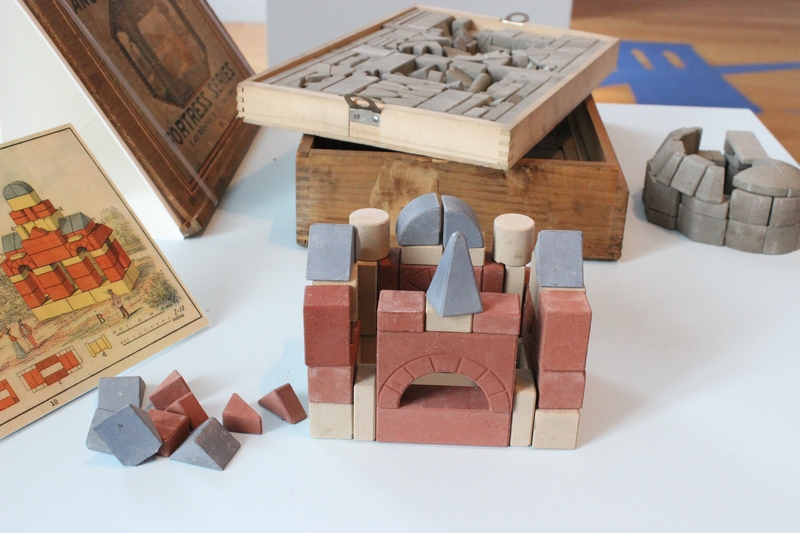 Children could build a Gothic cathedral, brick house, stone house, or hybrid combination of all three. 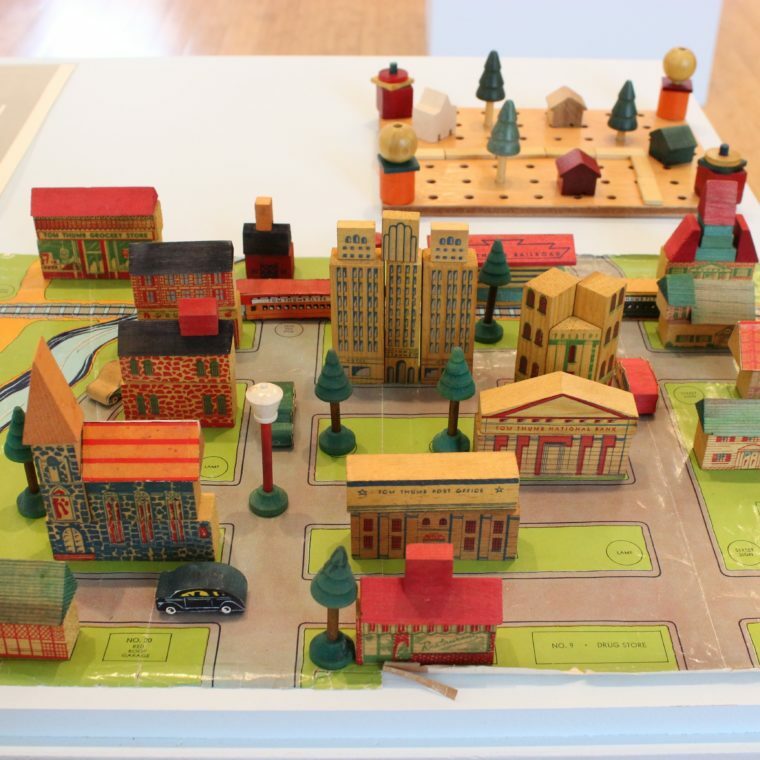 The Tom Thumb Toy Town was designed like a puzzle, with building outlines drawn on the town layout so children could place each building only on its correct location, without variation. 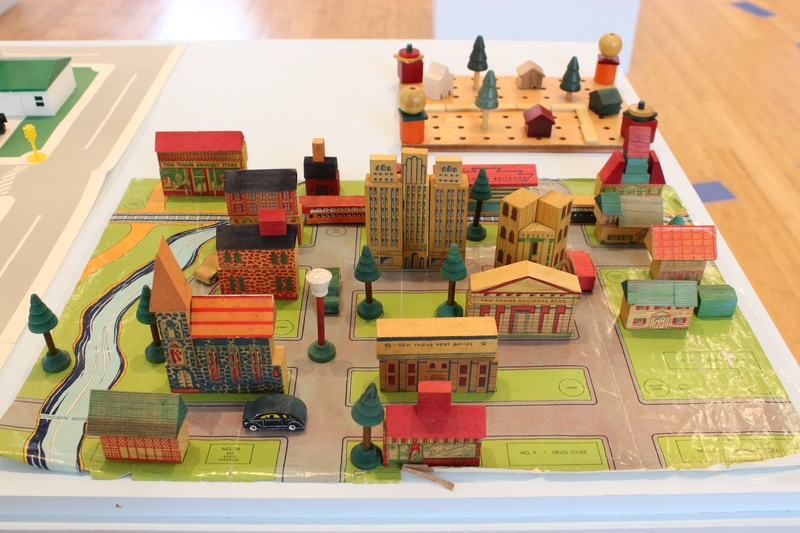 The toy had a specific message about the layout of commercial, residential, governmental, and transportation zones. 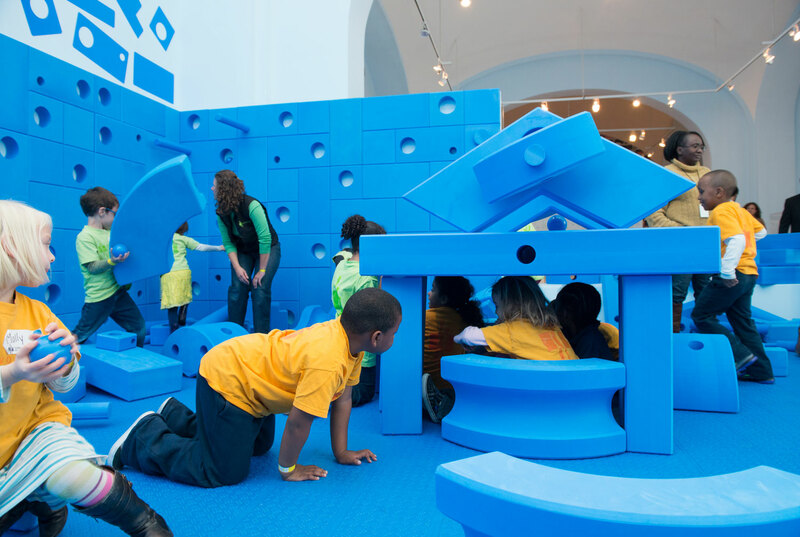 Students from the Two Rivers Public Charter School play with Imagination Playground blocks in the National Building Museum’s exhibition PLAY WORK BUILD. Photo by Kevin Allen. 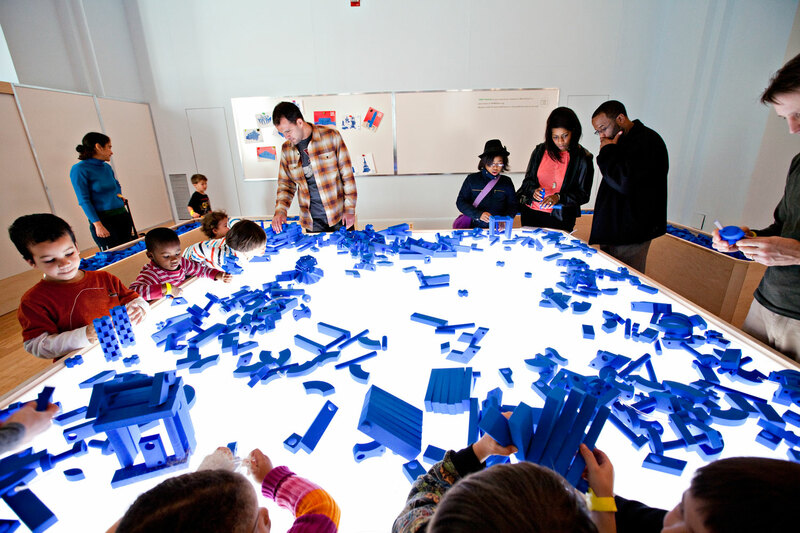 Museum member families play with Imagination Playground blocks in the National Building Museum’s exhibition PLAY WORK BUILD. Photo by Anne McDonough. 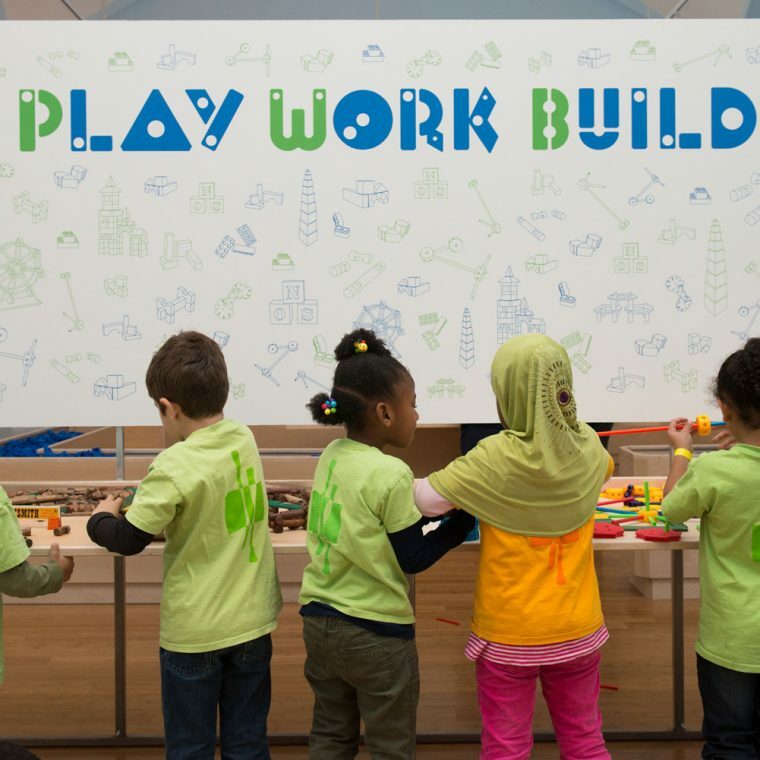 PLAY WORK BUILD is possible by the President’s Exhibition Fund and by gifts from CoStar Group, Inc., DAVIS Construction, and SIGAL Construction Corporation. 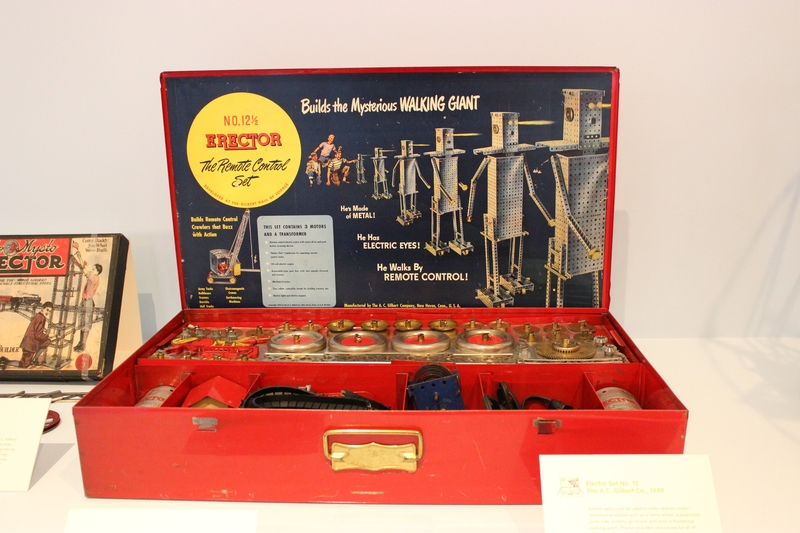 Additional support provided by EYA. In-kind support provided by M.H. Stallman Company and Washington Parent. 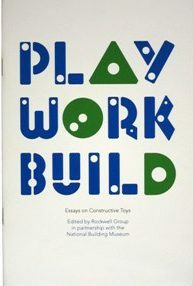 Design services donated by Rockwell Group.